This very attractive Beaked Yucca (Yucca rostrata) is also know as Big Bend Yucca and is native to the Chihuahuan desert of west Texas and Northern Mexico. 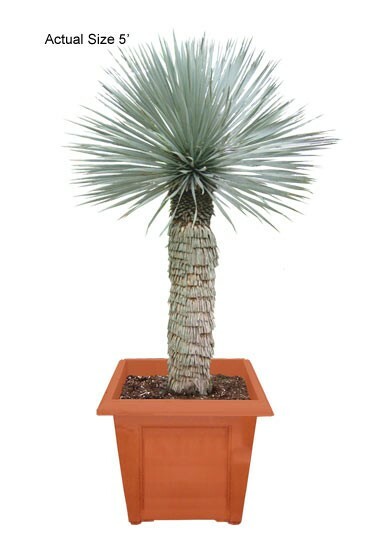 Yucca rostrata is a blue leaved species of the yucca family and one of the most cold tolerant. The garden-worthy Beaked Yucca is cold tolerant to -20 degrees F and will tolerate freezing temperatures for lengths of up to 100 days. A slow grower, the Beaked Yucca will grow an estimated 4 inches a year. It will grow an average maximum height of 15-20 ft. The common name is derived from the seeds it leaves behind resembling a bird’s beak. The name botanical name rostrata is Latin for “beaked or curved”, which also resembles the fallen seed of the yucca rostrata. This species of yucca is most effective for southwest planting but also for northern regions where temperatures are not so forgiving. 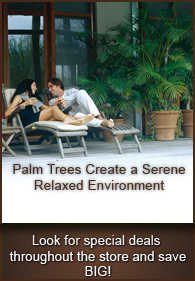 It is drought-tolerant and suitable for xeriscaping. This plant is also fire-retardant and resistant to deer. Mature Beaked Yucca's produce a spectacular flower stock roughly 2 feet long, which is covered in creamy white flowers. It prefers full sun to lightly filtered shade, and requires well-drained soil. This is one of the most beautiful, most cold hardy of the tree-like Yucca's and will make a great addition for any landscape, home or office. Note: Plant has spines or sharp edges; use caution when handling.